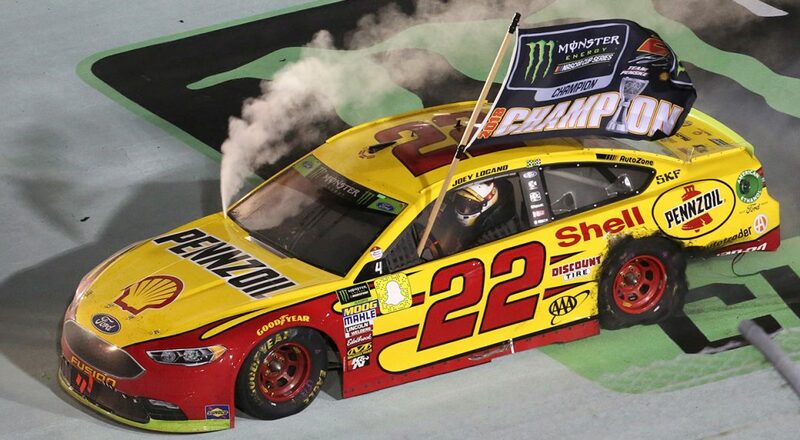 The 28-year-old driver was adamant he was the favorite going into Miami, but Joey Logano wasn’t taken very seriously by some of his opponents. Logano put his money where his mouth is however, blasting by both Busch and Truex on the final restart before they knew what hit them. Prior to the late caution, Busch had not pitted with the rest of the leaders, using the caution strategy. At the time, Harvick and Logano were cutting down Busch’s lead rapidly, but he was able to hold out just long enough. Daniel Suarez was caught up in a wreck with Brad Keselowski with 21 laps left to go. Truex passed Busch after the restart, jumping to a pretty sizeable lead, it had looked like Truex might end up leaving Furniture Row with another title. However, Logano had so much speed that he was able to put Kyle Busch down quite quickly and eventually blowing past Truex without much problem. Before you knew it Logano was over a second ahead on Truex and cruising to a title. The only thing that could put a wrench in his plans was another caution, which never occurred. Truex finished second in his final race with Furniture Row Racing. Kevin Harvick, Kyle Busch, Brad Keselowski, and Matt Kenseth rounded out the top 6. Logano entered Nascar as a Joe Gibbs prospect but was pushed into the Cup Series before he was ready, filling Tony Stewart’s recently vacant seat. After four years, he was eventually removed from the ride and replaced by newly signed Matt Kenseth. Unemployed and looking to catch on with another owner, AJ Allmendinger lost his ride at Penske because of a failed drug test. Brad Keselowski was the one that put a word in for him, and the rest is history.